WordPress bloggers and site owners who are searching for new ways to work with content have a few options open to them — though not as many as one might want. 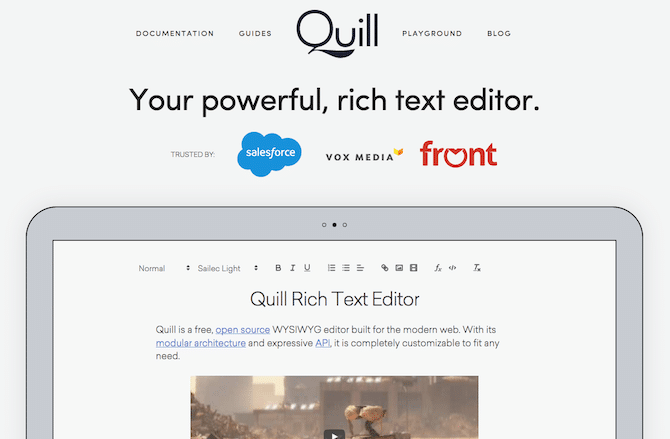 In this post, we'll take a look at several third-party publishing apps that publish to WordPress and that provide text editing interfaces you can use to create and revise your content. First, though, let's explore generally just how seamless the third-party app / WordPress experience really is these days. Any third-party publishing app can change the experience you'd normally get if you were working directly in the WordPress dashboard. The degree to which that might be a problem for you depends on your preferences and workflow. Functionality here can change radically thanks to the WordPress REST API. For example, the more you can do to and with your WordPress site on mobile devices, the more cohesive the publishing experience with WordPress would be. But even the simplest kinds of connectivity can cause problems. For example, probably anyone who has tried copying and pasting from Google Apps documents into the WordPress Visual Editor is familiar with the many annoying and extraneous <span>s, styles and formatting. Sure, you can run the text through a “find-and-replace” script in an advanced text editor, or hunt and remove them manually yourself. But whatever app you incorporate into your system, you should be getting a positive result. Otherwise, that specific app might not be useful for you. 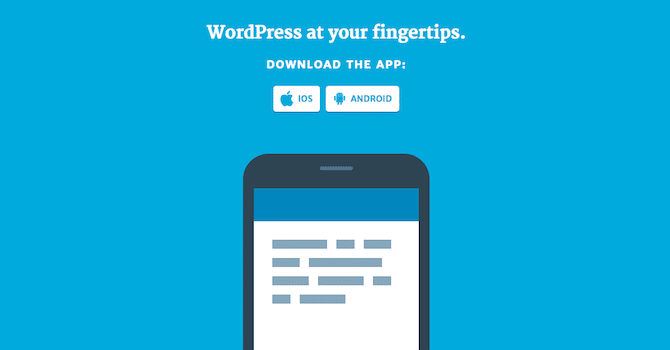 So first let's consider WordPress's own apps, both for Android and iOS devices as well as desktop. The experience here is probably most seamless for WordPress.com site owners, and those who use Jetpack. WordPress.org site owners usually will have a less thorough experience. Even then, however, this doesn't just give you the WordPress visual editor in a different context. Rather, they focus primarily on adding pages, adding posts, and managing comments. Quill.js might not be exactly “plug-and-play” simple, but it does offer a number of advantages, and the documentation quick-start guide can help ease the transition. It's distinct from other editors in a number of ways, so it pays to evaluate carefully; definitely try out the “Playground” page where you can see demonstrations of its customizability and possible uses. TinyMCE promises a robust rich text editing experience with a lightweight download. Usually, of course, a light download means a trade-off in functionality, but as you can see from this array of features, that doesn't seem to be the case here. TinyMCE is open source and free to use for the community and there are TinyMCE WordPress plugins as well. Using Markdown, a simplified easy-to-learn coding language that's built specifically for text, Byword provides a clean, minimalist interface in which to compose your posts or page content. 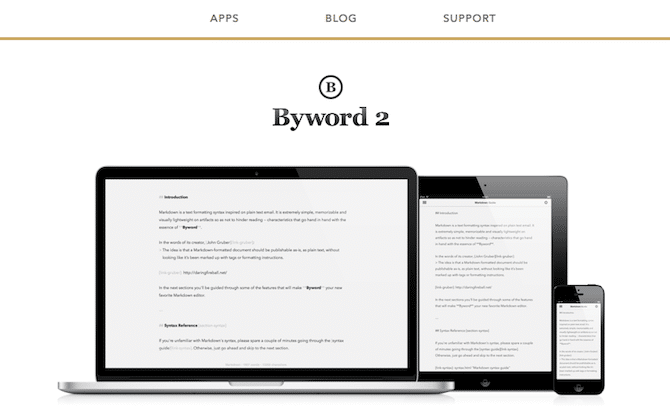 Once your copy is done, Byword will publish it for you to your WordPress site. Byword also integrates with Tumblr, Blogger, and even Evernote. It's not free – but at around $12, it's not terribly expensive, either. The perhaps-not-so-great news for PC users: Byword is only available for the Apple platform. There's a version for Mac OS 10.8, and for iOS devices. Desk, now in its third major iteration, gives you a full-featured text experience for writing, blogging, and notetaking that promises to play nicely with WordPress powered sites. Like Byword, it also uses Markdown, which translates pretty smoothly in the publication to a WordPress site. At about $20, it’s slightly pricier than Byword, and also available only for Mac and iOS. 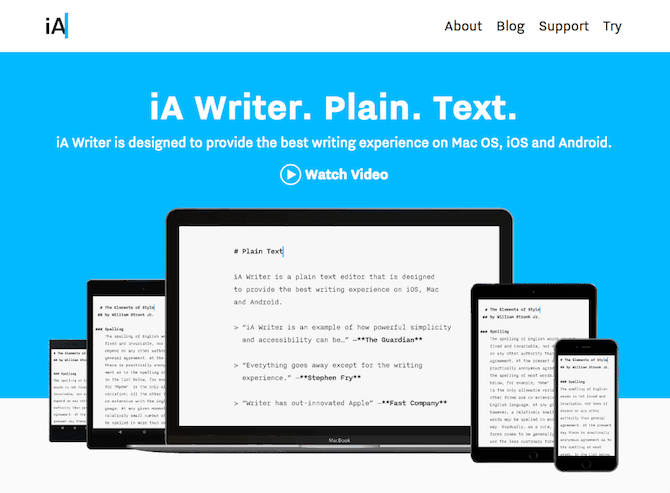 iA Writer aims to deliver a smooth, streamlined writing experience on both major types of mobile platforms (iOS and Android) as well as any Mac OS machine. In addition to a by-now expected minimalist design to encourage focus and reduce distractions, Byword also gives you content blocks, which let you incorporate images and tables, as well as text, into your content. iA Writer is free for Android, and about $10 in the Apple App Store. Desktop blog editor MarsEdit has been around for awhile, so it's got a proven history. The price is about $40, so it's not cheap, by text-editor and blog-publishing app standards, but it offers a number of advantages that might make the investment worthwhile. Primarily, it's more of a full-fledged desktop publishing app than other apps listed here. 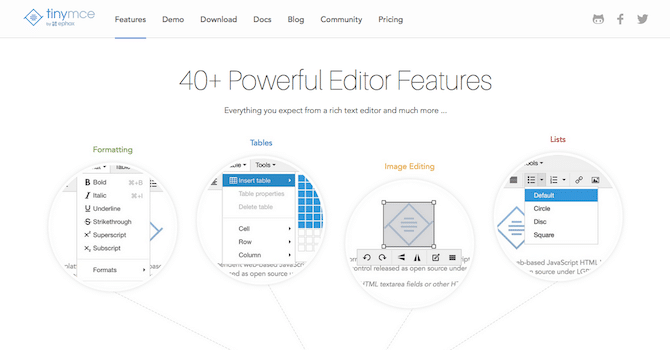 It's fairly well featured and more robust, offering way more than just a text editor. MarsEdit handles inline image uploads fairly seamlessly. Offline writing and editing is a nice bonus; if your connection crashes, you don't lose your hard work. 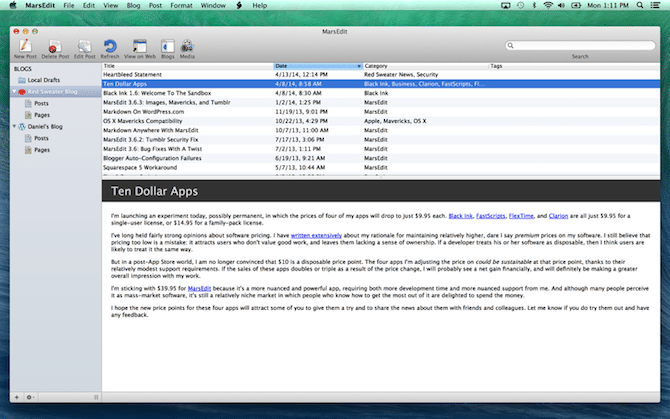 MarsEdit is for Mac and iOS users. Windows Live Writer is an entry just for the Windows kids. It's no longer being actively developed by Microsoft. The source files have been made available to the public, though, and a robust community has grown around it which may be interesting for people who like community-driven projects. Zapier offers a number of connectivity-oriented apps, but the two we're looking at here are Evernote-to-WordPress and OneNote-to-WordPress. Both are built and maintained by the same developer, and serve similar purposes — and Evernote and OneNote are also similar apps, both oriented to the note-taking / filing niche. These publishing apps would be especially useful for folks who use one of these two major note-taking apps to collect resource material. You'd just need to use Evernote or OneNote as your text editor for composing your draft, which together with the Zapier connection app could result in a streamlined workflow while using WordPress. Which publishing app is right for you? As always, it depends on your current system, your preferred workflow and what you find most intuitive. If you're used to a certain environment and use it a lot for taking notes – Evernote, for example – it may be worthwhile to explore anything that can help you stay in that environment and push content from it to your WordPress site. Just keep in mind that the experience probably won't be perfectly seamless, or identical to the full web-based WordPress dashboard experience. Do you have any experience using these third-party apps or tools with a WordPress.org self-hosted site? Share your thoughts in the comments below.